For someone who is not a fan at all of rom-coms, I thoroughly enjoyed Crazy Rich Asians — and, apparently, so do well over $100 million worth of other ticket buyers. Mindy Kaling expresses so much of what makes CRA great here and here and here and here and here (for reals, Mindy, use the thread feature!). That an actor of any race could have played the lead, John added, is precisely the point. “The fact that it doesn’t have to be an Asian-American film makes me want to claim it as an Asian-American film,” he said. Also, key takeaway: No vlogging. Ever. Semi-spoiler alert: Does that intro rival Up, or what? I sort of wish I had been given an emotional heads-up beforehand! 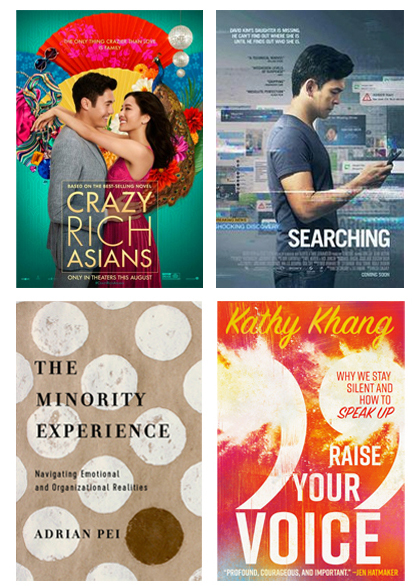 On top of all this, having smart, tenacious, faithful, talented Asian American friends who also happen to be authors sharing much-needed insight & guidance? You can read my review of Adrian Pei‘s fantastic book, The Minority Experience: Navigating Emotional and Organizational Realities, here. I thought I’d resurrect the old blog for a couple of books written by friends, both of which I highly recommend. Let me start by saying that in The Minority Experience: Navigating Emotional and Organizational Realities, Adrian Pei crafts a compelling vision for leadership that the church needs today. As an Asian American follower of Christ, I’ve experienced the often-harsh dissonance between the vision for diversity that many churches, organizations, and ministries proclaim on paper and the reality of living out that vision with purpose, love, truth, and grace. 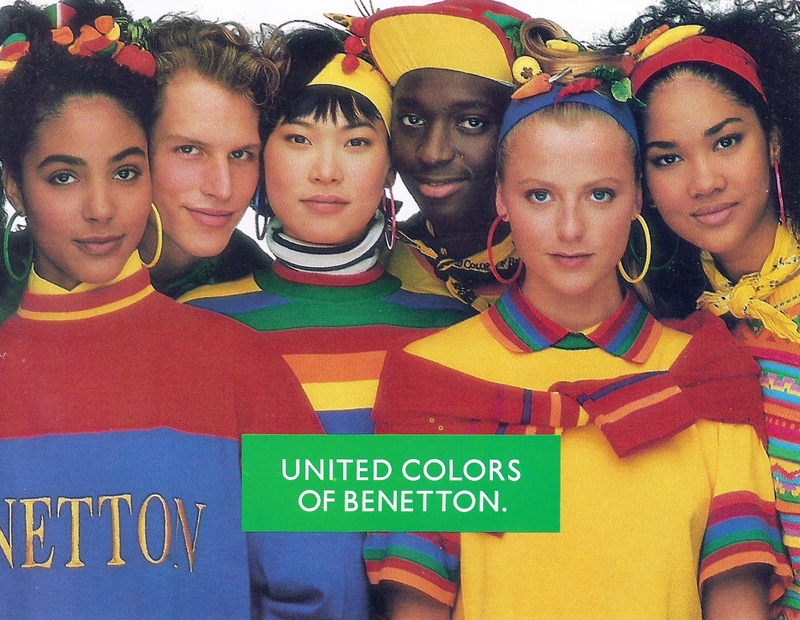 Many of us have been burned by the “Benetton ad” effect of organizations seeking only cosmetic diversity (i.e., trying to find “one of each” for a “diverse” group photo, which is then placed on the cover of the next brochure — but nothing actually changes in the culture of that organization). Others have felt the frustration of tokenism, being “given” a seat at the table only to discover that their voice is consistently discounted. And, that’s not to mention the toxic brew of racist microaggressions, blatant discrimination, and backlash for pointing out injustice (e.g., “Why can’t you take a joke?”) that many of us face. I could go on, but I think you get the idea. The point is: this is hard work. This is exhausting work. However, particularly for those of us who believe that a diverse church who reflects the joy and creativity of Jesus is a beautiful, credible witness to our divided, broken world — and that this is a glimpse of the fullness of redemption on the way (Revelation 7:9-10) — this is essential work. That’s why I’m thankful for Adrian’s voice. The Minority Experience is a thoughtfully-researched, clearly articulated vision of how organizations can take steps to lead change in diversity. His wisdom earned in the trenches of leadership will strengthen any organization that is serious about initiating change around diversity. I deeply appreciate Adrian’s willingness to display honest vulnerability in sharing his own minority experience. He speaks from his life as an Asian American, but I believe his insights will be relatable to and have implications for people from many different ethnic and cultural backgrounds. This is definitely one of those books where I have so many bookmarks, margin scribbles, and highlighting marks that it’s almost easier to show what I did not note than what I did. Turning around a big ship can be overwhelming; through The Minority Experience, Adrian helps us chart a new course. My lovely wife was featured in this great interview at Christianity Daily! Her leadership, wisdom, and pastoral insight are so vital—not only for Anchor City, but for San Diego and the world. Working side-by-side with her and watching her mentor & coach other pastors & planters, discern & guide the culture of our church community, and pour into the lives of our leaders and church members is a tremendous honor and joy. As I told a friend on Facebook, she’s the beauty & brains in this operation. Fortunately, I can provide some of the brawn! Anyone who has been in full-time vocational ministry in a church setting will know firsthand the knife’s edge of burnout and disillusionment. In some ways, we respond to God’s call because we are open-hearted to his purposes, but it is that very open-heartedness that can leave us wounded, jaded, and burned out. I am grateful that God, in His grace and wisdom, opened my eyes to see that pastoral work is about a whole lot more than preaching in front of big crowds very early in my ministry life. It’s certainly not wrong to have big dreams for God; we just need to be careful how we define “big” or “important” in the Kingdom. righteousness like a never-failing stream! This awakening to justice breathed new life into my relationship with Jesus and my heart to serve God and others. The Gospel encompasses personal righteousness, but never at the exclusion of compassion or justice for others. The fullness of God’s Shalom, where Christ rules and reigns as King, leads to the flourishing of all people as God renews all of creation. Followers of Jesus are invited to participate in that mission of restoration and redemption, through our words, actions, relationships, and stewardship. From their very real personal sacrifice and leadership, ODW has become a powerful force for good, “a grassroots movement of people, stories, and actions to alleviate extreme global poverty.” I am thankful for ODW’s partnership with Justice Ventures International, on whose Advisory Board I serve. I have eagerly anticipated Eugene’s book, Overrated and, though painful to read at times (because of the level of self-reflection it requires), I highly commend this book to others. Are you more in love with the idea of changing the world than actually changing the world? A gospel that not only saves but restores the dignity of humanity — even in the midst of our brokenness and depravity. This gospel is not just for us. The gospel is good news for all. We need to pursue justice not just because the world is broken, but because we’re broken too. Pursuing justice helps us put our own lives in order. Perhaps this is what God intended — that in doing His work serving others, we discover more of His character and are changed ourselves. Disclosure of Material Connection: I received this book as a free review copy. I was not required to write a positive review. The opinions I have expressed are my own. I am disclosing this in accordance with the Federal Trade Commission’s 16 CFR, Part 255: “Guides Concerning the Use of Endorsements and Testimonials in Advertising.” And, in the interest of full disclosure, I also purchased a copy of this book because I believe its message is that important. A very happy new year, friends! When I responded to God’s call over 17 years ago to serve in full-time vocational ministry, I had no idea what was in store. God always knows what He is doing, though, right? There’s no way I was prepared for the ups & downs ahead, but Jesus has always had more than enough mercy & grace for the journey. Our family is so thankful for the next adventure to which God is calling us. We are incredibly grateful to partner with a group of generous, thoughtful, faithful, kind, compassionate, and talented individuals and families to plant a new church here in San Diego: Anchor City Church! We believe God is calling us to plant a third culture, multiethnic, multi-generational church to bless and serve San Diego and the world, and are excited to respond to the call. We believe a diverse church with Christ at the center reflects the joy & creativity of God and forms a beautiful, credible witness to a broken, divided world (Revelation 7:9-10). As pastors, my wife and I seek to unleash the God-given dreams of each member of our community, to cultivate better expressions of Christ’s love for the world, and to join the redemptive work of the Holy Spirit throughout San Diego and the world. Christ is the true Anchor for our souls (Hebrews 6:19), the One who harbors us in the eye of the storm and who gives us the courage to venture forth and risk the ocean. We dream of kids & families growing together in the truth that this is our Father’s world and following Jesus is an adventure like no other. We want to engage and unleash the God-given creativity, curiosity & wonder of people of all ages through music, art, science, food, and play. We will begin gathering in homes this week as the new year begins. If you, or someone you know, does not belong to a church community and is looking to find a church to call home, we invite you to consider Anchor City Church. We believe God has not given up on the world, and neither have we! Friends, we deeply value your prayer & intercession. We want to cultivate an outward-looking ethos & culture in Anchor City, and we believe that is only possible through the leadership & guidance of the Holy Spirit. In the weeks to come, I will be posting more about our heart, ministry, and life together — including our social media accounts and website. We look forward to connecting and collaborating for the Kingdom! Every once in awhile, my lovely wife and I will bust out our Lord of the Rings special-edition DVDs (no, not Blu-Ray. We’re old-school like that) and immerse ourselves in the epic world of Middle Earth. Funny timing, then, that we recently finished a viewing right before a set of events unfolded that would remind me that—as much as I’d like to be Aragorn or Gandalf—I’m more like one of the Shire-folk. But there is great honor in learning to fulfill our small part of God’s Kingdom work: after all, some of the greatest Kingdom work is accomplished through the unnoticed and overlooked. I am truly thankful for the leadership, tenacity, truth-telling, and grace of leaders (many of whom I’m blessed to call friends) such as Kathy Khang, Helen Lee, Ken Fong, Sam Tsang, Nikki Toyama-Szeto, Bruce Reyes-Chow, David Park, and many, many others. Jesus is recreating a people for Himself from those who are near and far away, from every tribe, nation, culture, ethnicity, and language. A better story of hope, redemption, life, salvation, justice, beauty, and truth in a diverse church that reflects the creativity and joy of Christ. Recent events have reminded us how far we have to go in that journey, but that there is always hope. I invite you to join with pastors, doctors, professors, artists, students, missionaries, attorneys, editors, accountants, counselors, moms, dads, and friends and raise your voice and sign this open letter to the church, to commit yourself to racial reconciliation, understanding, and forming a more credible witness to a broken world around us. As I mentioned, I have felt quite Hobbit-ish in the midst of all these heavyweights. Most days, all I want to do is be the best husband and dad I can be, provide for my family, and live into our calling here in our little corner of the world in San Diego. My role in this story has been quite small, but I know that it is important not to give up—to lift my voice for my family, our church community, for Asian Americans, and for all people so that the world will know how great a Redeemer Jesus is. I am incredibly thankful for my lovely wife—a profoundly gifted pastor, church leader, wife, mom, and reflection of the humble love of Jesus to the world. In many ways, it was her voice that became a sort of holy tipping point for one particular conversation with our friends from Exponential. As she shared her story, the doors of empathy and understanding opened. It is no mistake, I think, that God used her voice to speak powerfully to a group consisting mostly of men. Like my friend Eugene, I also support women in all levels of church leadership. I believe this is the faithful reading of Scripture and, from my experience, the story the church needs to share with the broken world around us: God is unleashing His dreams through all of His daughters & sons, just as He promised so long ago. As this conversation moves forward, I look forward to the unique leadership of brave, godly, and strong women (as well as the voices of my brothers in Christ). If you need to be reminded, I encourage you to read Connie Zhou’s story. Perhaps some of you will see yourself reflected back. Or, even if you are coming from a different place altogether, you will benefit from hearing her voice. As the Church, may we plant and cultivate communities who are radically committed to loving our actual neighbors with the transforming love of Jesus. What Makes a Great Pastor? I’m looking forward to reading Center Church, by Timothy Keller. As a pastor, I deeply appreciate the humility and grace with which he pastors and speaks. A pastor should be marked by humility, love, joy, and wisdom that is visible and that attracts people to trust and learn from them. As a pastor, you may not be the best preacher, but if you are filled with God’s love, joy, and wisdom, you won’t be boring! You may not be the most skillful organizer or charismatic leader, but if your holiness is evident, people will follow you. This means, at the very least, that a dynamic, disciplined, and rich prayer life is not only important in the abstract and personal sense; it may be the most practical thing you can do for your ministry.